I did not feel like this quilt fit with anything extra fancy in the quilting design. The scrappy nature of it lends itself to a more simple design. 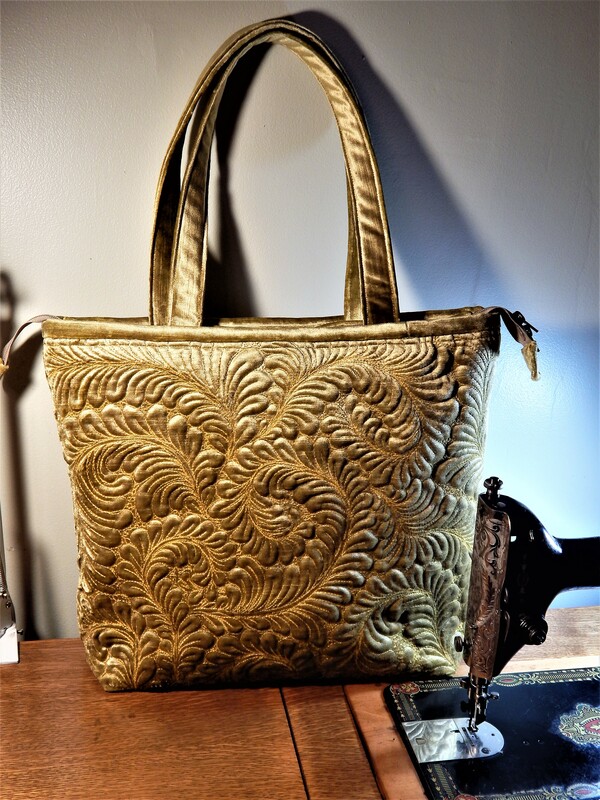 This took about 800 yards of quilting thread. 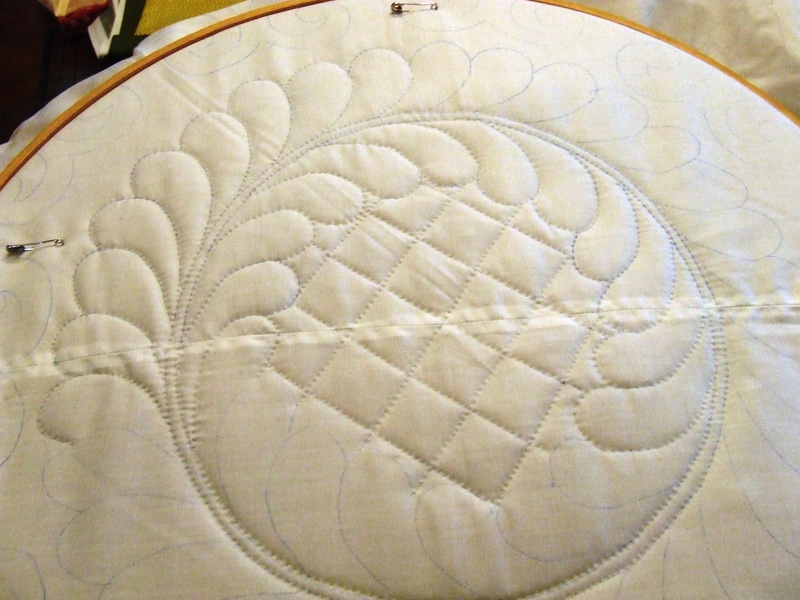 I used Natures Touch cotton batting and just for kicks I measured the quilt before I washed it. it finished at 80″ square. After washing and drying (both in the machine) it is now 76″ square…about 5% shrinkage….I love the look. Here are a bunch of pictures, the quilt is fresh out of the dryer and still a bit wrinkly but you can get the idea. Now back to one of the many other quilts in progress. It has been hot here in Lansing!…I went outside this morning to take a few garden pictures, and the difference in the temperature between the inside with the AC on and the outside caused my camera lens to fog up…so some of the pictures are a bit foggy looking. 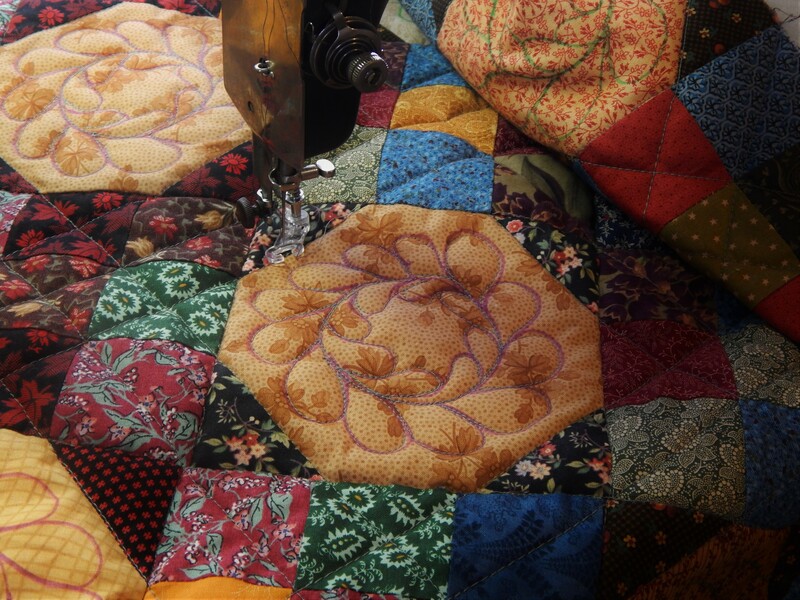 This entry was posted in Flowers, Garden, Quilts and tagged flower garden, Gardening, hand quilting, Quilting, Quilts. Ok, I think I won this quilt, didn’t I??? It’s a wowser! Love the fan quilt. Any history? That vintage, puckered look is what I love to see. Another great finish. Wonderful rescue yet again! Love how this one turned out. Your stitching was perfect! Love the washed look. So cozy. the quilt turned out well and your flowers are lovely-mine have been spectacular until the last few days with this horror of a heat wave. Hubby is out watering now but nothing substitutes for rain! so true…..by this evening many plants are so wilted that I have to water…..no rain in the forecast until Friday night…hope the plants can hold out! Congratulations on another finish!! Garden is looking lovely. 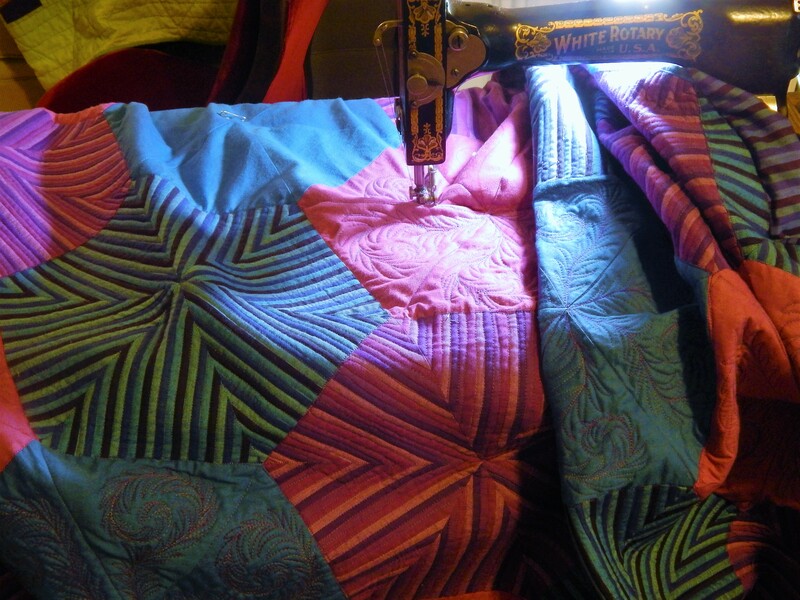 When you do echo quilting in a quilt like this one, do you mark your lines or use tape? Or do you just “eyeball” it?